Looking for something sweet? 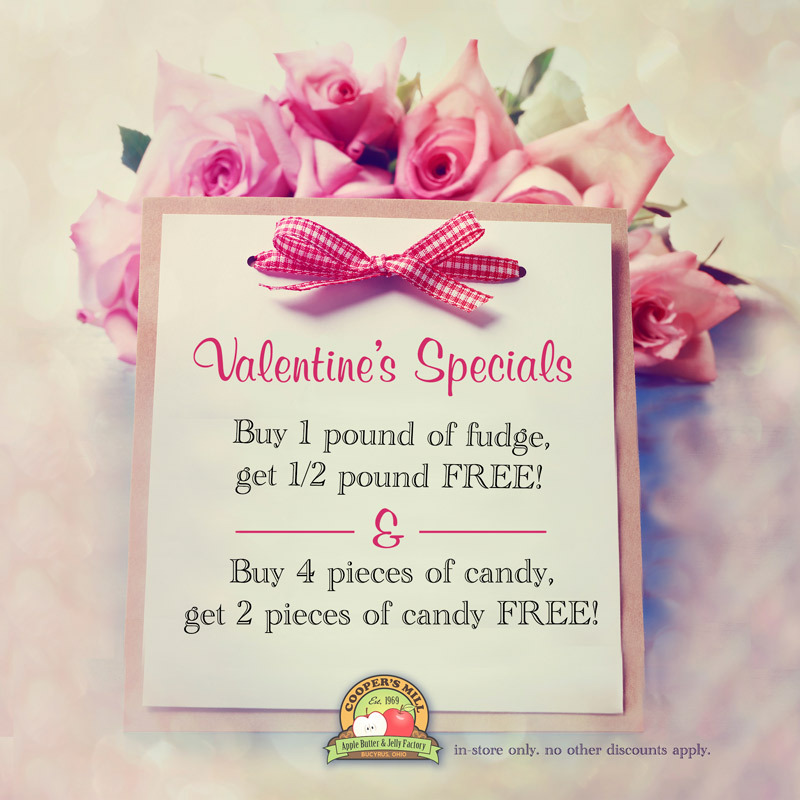 Give your Valentine some homemade fudge from Cooper’s Mill this year! ← February’s Flavor of the Month: Apple Butter!